The HR-AZ models add highly reliable internal calibration. 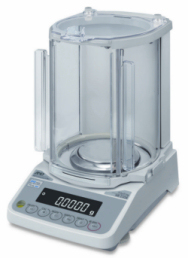 One-touch automatic calibration ensures consistent balance accuracy. environments and deliver performance with convenience in a compact footprint.